Recently, 711 Million emails were exposed in the biggest spamming campaign on the internet, a figure that breaks all the records to date and which shows the security measures, the inefficiency of current anti-spam filters and new tricks for the theft of personal data, especially banking. 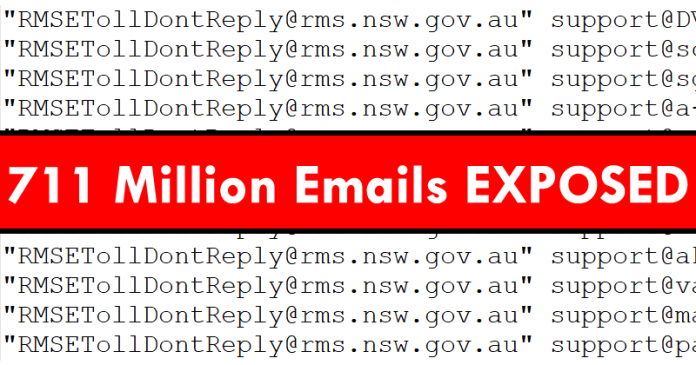 711 million email accounts make up the largest spambot ever exposed so far. A figure that breaks all the records to date and which show the security measures, the inefficiency of current anti-spam filters and new tricks for the theft of personal data, especially banking. The biggest spam list has been gathered by a hacker from whom we have little information. The only thing we know is that it was hosted on an “open and accessible” server located in the Netherlands and contained inside the passwords of millions of emails to which it sent spam emails with malware inserted into a gif of 1×1 capable of stealing important amounts of data from browsers and software (especially banking information). This finding was made on Tuesday, for reasons unknown has been left unprotected and publicly accessible. It was investigator Benkow – as they call it – who alerted last week Troy Hunt, the biggest expert in web security of the presence of an important spam list. After conducting the relevant investigations and checks, Hunt found the largest list of spam accounts known so far, as explained in a post written on his website, which also indicates that he has taken the relevant legal actions to have this server closed and removed. In total, the 711 million email accounts have committed a total of 110 data thefts in two and a half years, especially banking information stored in browsers and software. A huge list of SMTP credentials (about 80 million) has also been found in an attempt to circumvent anti-spam filters. The method for getting information from this powerful spambot was simple. Each of these emails sent included a GIF of dimensions 1×1 pixels, just invisible. When the user opened this email, a request was automatically sent to his IP and his user to the server that hosts this image. A sufficient information so that the spammer can know when the email has been opened, from where it has done and on which device. If you want to know if your email accounts and passwords have been affected by this spambot, you can check it in Have I Been Pwned, a tool developed by Hunt and has been updated after this the greater theft of data through spam. If your email account has been hacked you must change the access credentials immediately.